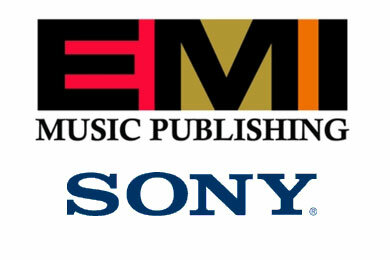 The pending sale of EMI Music Publishing to a group led by the Sony Corporation has been approved by the Federal Trade Commission, it was reported by Reuters today (6/29). The deal, valued at $2.2 billion, was given the go-ahead by U.S. regulators and no divestitures will have to be made. Antitrust regulators in Europe approved the sale in April, provided the new company sell publishing rights of Robbie Williams and Lenny Kravitz among others. The combined companies will be the world’s largest music publishing catalog, boasting songs such as “Over The Rainbow,” “Rolling in the Deep,” “New York, New York,” and many more. Other investors involved include Abu Dhabi’s Mubadala sovereign wealth fund, Hong Kong’s Jynwel Capital, Blackstone’s GSO Capital Partners, and David Geffen. Prior to this news, Billboard reported that EMI Music Publishing president “Big” Jon Platt would be departing his position with the company after 17 years. His final day on the job is today. The Federal Trade Commission is still debating the sale of Universal Music’s pending purchase of EMI’s recorded music division from Citigroup for $1.9 billion. Hits Magazine notes that EMI chief Roger Faxon “half-heartedly” approved of the merger during recent FTC discussions, though its approval could leave him without a job. According to Hits, Faxon’s contract states that within 30 days of the first of the two regulatory investigations finishing, he must choose to stay with either publishing or recorded music.